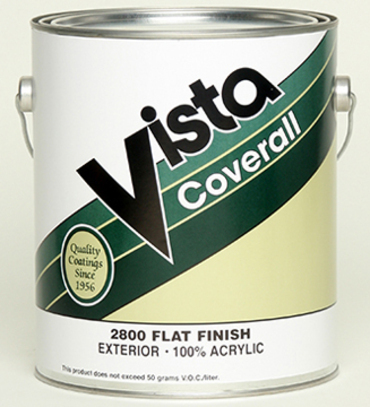 FOR USE IN THE STATE OF NEVADA ONLY Coverall Exterior Solid Concrete Stain is a 100% acrylic flat finish. Suitable for concrete, masonry and stucco. Product can also be used as a masonry stain for vertical surfaces. Provides a tough, flexible matte flat finish with outstanding resistance to chalking and fading. Recommended Uses: Properly prepared concrete, stucco and masonry substrates. Colors: White and custom colors.